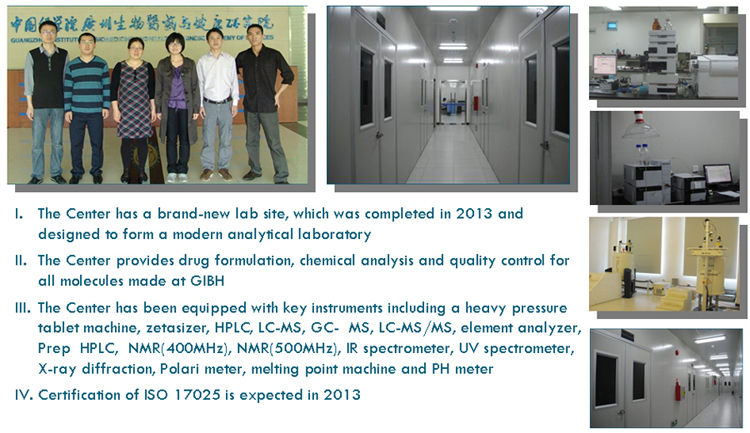 GIBH has launched a service center for drug formulation and chemical analysis. The center includes two subdivisions: a drug formulation core laboratory and chemical analysis laboratory. All equipment is operated and maintained by a well-qualified staff. The laboratory certification of ISO-17025 is expected in 2013. The drug formulation core provides high quality services (Table 4) and contains state of the art equipment including a high-performance coating machine, centrifugal granulation coating machine, freeze dryer, zetasizer, heavy pressure tablet machine and high pressure homogenizer. 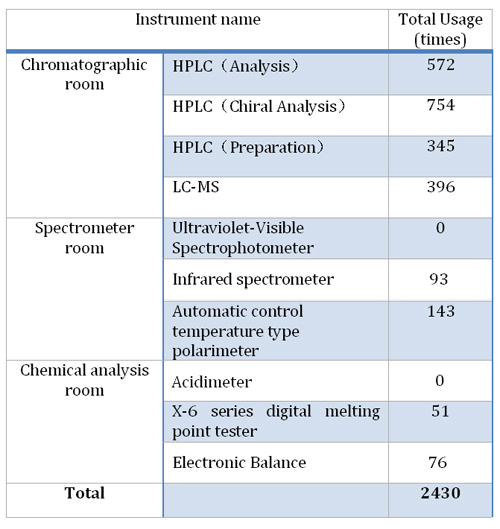 The Chemical analysis core laboratory mainly performs analysis related to drug and organic compounds and is equipped with HPLC, LC-MS, GC-MS, LC-MS/MS, element analyzer, Prep HPLC, NMR (400MHz), NMR (500MHz), IR spectrometer, UV spectrometer, and X-ray diffraction.